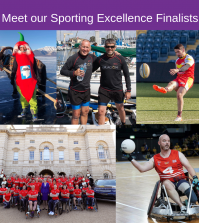 As you may already know from our excitement on social media, we’ve been overwhelmed by the outstanding achievements of all our 2019 Finalists! 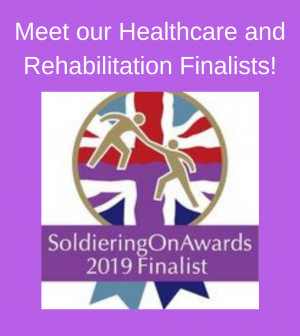 Over the coming weeks we’ll share information about finalists in each category, beginning with those nominated and shortlisted for the Health and Rehab Award, sponsored by the world-leading communication technologies firm, Redwood Technologies. 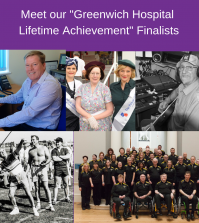 This category celebrates people or teams who have demonstrated a major commitment and contribution in support of the physical or mental welfare of serving or former members of the armed forces community. This may be through healthcare, therapeutic treatment or rehabilitation services and support. 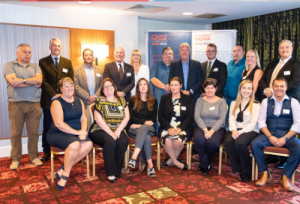 The nominees were scrutinised by an esteemed panel of 33 judges – you can find out about them here. 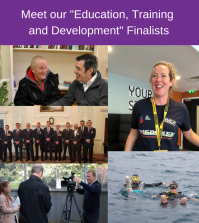 So let’s take a look at our Finalists! The Veterans’ Orthopaedic Service (VOS) at The Robert Jones and Agnes Hunt Orthopaedic Hospital in Oswestry is the service first of its kind, offering dedicated orthopaedic care to veterans. Lt Col Carl Meyer, Consultant Orthopaedic Surgeon, first set up exclusive veterans clinics at the hospital in 2014, with the aim of helping veterans suffering from hip and knee arthritis. 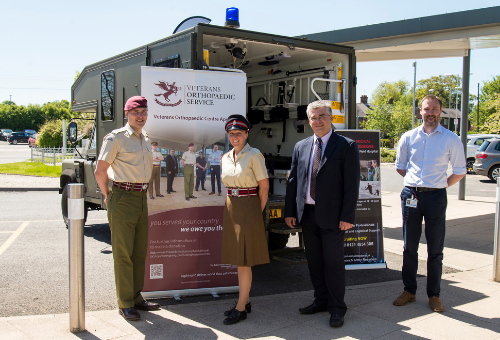 Demand for the service has trebled over the past year – between April 2017 and June 2018, Lt Col Meyer carried out almost 300 operations, and saw more than 2,400 outpatients. Recognising the demands that military service can place on the body, VOS provides a first class service to those who may not otherwise access the treatment they need. Lt Col Meyer says his ambition is for the UK to become one of the world leaders in veteran care. Find out more about the Veterans’ Orthopaedic Service here. The Poppy Factory was founded almost 100 years ago to provide employment for veterans injured in the First World War. They were employed to make Remembrance products for the Royal British Legion and the Royal Family at the factory in Richmond-upon-Thames; production continues there to this day. In 2010 a new programme was launched to recognise the changing needs of the wounded, injured and sick veterans. The service now operates across the whole of England and Wales to help veterans source meaningful employment in the public, private and voluntary sectors. 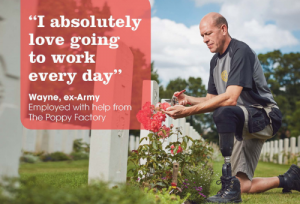 The Poppy Factory has employed disabled veterans for more than 96 years, making millions of Remembrance products and, every year, the veterans organise the Field of Remembrance. For every £1 invested in to the employability service, £2.23 is returned in social value (SROI 2014) including a 70% reduction in the use of NHS services. Find out more about The Poppy Factory here. Supporting veterans who have been arrested or are at risk of being arrested, Project Nova works in partnership with 15 Police Forces across the country. It has seriously reduced the re-offending rates and has been recognised by Magistrates and Judges who have told defendants that had they not been involved with the Project they would be facing a custodial sentence. It also supports the partners and children of those veterans who find themselves in the courts or police cells. The Project’s staff come from a variety of backgrounds with experience in the Armed Forces, Criminal Justice System and charities. Often dealing with serious mental health cases, most of the cohort are complex individuals with complex needs – including anger management, debt, substance abuse, housing, as well as mental and physical health issues. Project Nova has also compiled a database of Offender Friendly employers across the UK to help the veterans and their families get back to a more stable life. Find out more about Project Nova here. 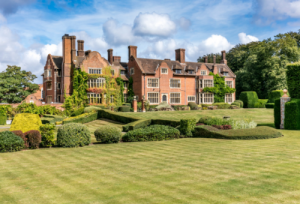 With a history dating back to 1940, the Headley Court Charity has helped thousands of injured servicemen and women to get back to fighting fit, and to find life after injury. In 1940, the Auctioneers’ & Estate Agents’ Institute’s RAF Pilot & Crew Fund was registered with the aim of assisting RAF personnel back in to civilian life and to educate the children of those who didn’t come home. In 1949 it purchased the Headley Court estate, expanding the remit to personnel from all three services, and the rest as they say is history. The property was home to the Defence Medical Rehabilitation Centre, a world leading base for the Centre of Excellence in Medical Rehabilitation for defence personnel until 2018, when it moved to the newly built facility at Stanford Hall. For 69 years the site was at the forefront of treatment to those injured whilst serving their country, whether on foreign shores or at home. As it finds its place in a new future, it is now home to research and to the community delivery of medical rehabilitation to veterans. It is hoped the name and reputation will live on for many more years to come. Veterans’ Orthopaedic Service were interviewed on the BFBS Radio Breakfast Show on January 12th, and BBC Radio Shropshire on January 17th. Keep an eye – and ear – open for more news about them and all our superb Finalists! 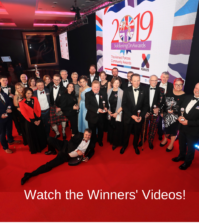 You can see our full list of Finalists in each category here, and don’t forget to sign up to our newsletter for regular updates on Finalists, Awards Night and how you can get involved!